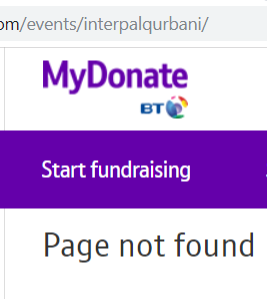 BT’s My Donate has this week withdrawn fundraising facilities from The Palestinian Relief and Development Fund (Interpal). Interpal’s fundraising methods have been severely restricted. UK Lawyers for Israel (UKLFI) wrote to Visa and Mastercard, the credit card companies linked to My Donate pointing out that Interpal is designated as a foreign terrorist organisation in the US, as well as being listed as a terrorism financing entity in Canada, and is included on Australia’s consolidated list of organisations subject to targeted financial sanctions. BT runs a not-for-profit online fundraising service for UK Charities called “MyDonate”, as part of its community service. Interpal had a major presence on MyDonate, promoting several fundraising campaigns. Interpal was particularly reliant on MyDonate for fundraising since its direct credit card donation facilities had been stopped last month. However, Interpal has been designated as a terrorist entity by the U.S. Department of the Treasury since 2003. It is classed as a Specially Designated Global Terrorist (SDGT), which means that any of its assets in the U.S. must be frozen, and that transactions with U.S. nationals are prohibited. The US Department of the Treasury described Interpal as “a principal charity utilized to hide the flow of money to Hamas” and says: “Reporting indicates it is the conduit through which money flows to Hamas from other charities”. Interpal raised over £6 million in 2016, including £0.5 million in Gift Aid. Its 2016 Annual Report acknowledged the difficulties it was encountering regarding banking as a result of the 2003 US designation of its organisation: “Interpal continues to cope with the challenges caused by the 2003 US designation, especially in the provision of banking facilities. This is an ongoing and serious obstacle to Interpal’s operations”. Caroline Turner, director of UKLFI, said: “We are pleased that BT, which runs MyDonate, has complied with US law, which is intended to prevent funds from reaching terrorists”.